I accidentally booked it through Agoda. Within 1 minute I raised this issue to agoda to request this property to cancel my inadvertany booking. This property denied return if the amount deducted from my card and kept my entire payment. Great 4 Star. Most important pro: quiet! Even though it’s close to airport, trains and a major road, it’s silent inside. Nicely equipped, and clean. The carpet was a little stained in places, but, it’s a hotel after all. Minor maintanance issues were resolved immediately and with a pleasant attitude. Pool, gym, sauna, steam room, and jacuzzi, are all included. Near metro station and easy walk to several malls, but only a few humble restaurants are “right there.” Near the “over-the-top” Marriott for restaurants, too. (Skip Cucina Italian. Terrible). Overall nice and great for the money. Near train station. Room was comfortable. Near airport. I booked for one night first because I was not sure what to expect. This hotel met my expectations in terms of location (walking distance to metro), near eateries, clean room and quiet eventhough facing the busy roads and train track. Special mention to bell staff, Mr Jagateesh and Mr Bilal, for their helpfulness and friendliness. Great spread for breakfast but not-so-great staff in the coffeehouse. Stern-looking, no smiles, no greetings, nothing. I will come back here to stay if I am going to Dubai again. Very near from the airport. clean and comfortable room adn bed. 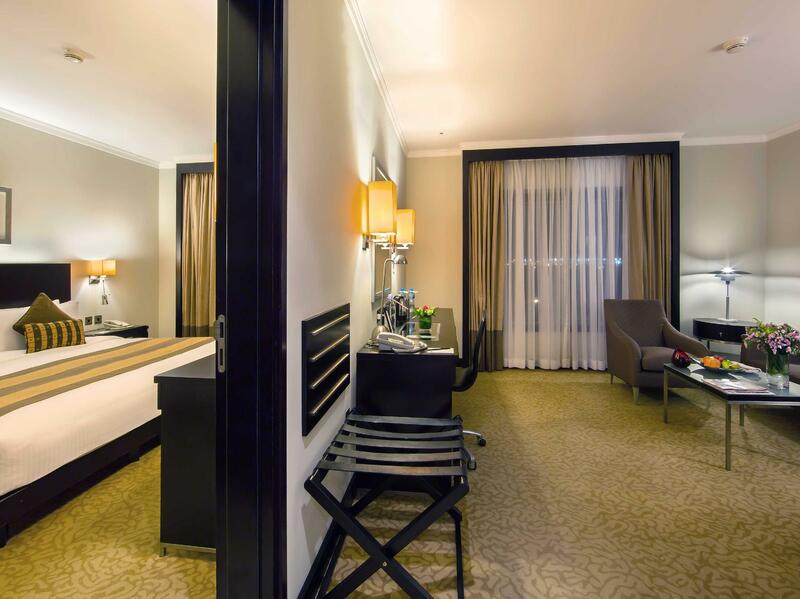 Can be recomended for late night arrival travelers from the airport. I also arrived 4 a.m in the morning and took a taxi from the airport . It took only 15 min, from the airport..
Stay for two nights and loved every minute! Imstayed on the Premier floor which means I had access to the premier lounge and health club. He hotel is a fine minute walk to the metro. Here are several shopping malls in the vicinity--easy access to picking up last minute souvenirs before heading to the airport!! This hotel is very comfortable and has great customer service. Very close to Metro and this hotel is now my favorite in Dubai. The room is very pleasing to the eye and has great amenities. The bed is very comfortable and room is spacious. The hotel facilities are excellent. The fitness center has excellent equipment and is well maintained. The restaurant and room service is outstanding. The hotel staff was very professional and helpful. This hotel is very comfortable and has great customer service. Very close to metro. This is now my favorite hotel in Dubai. 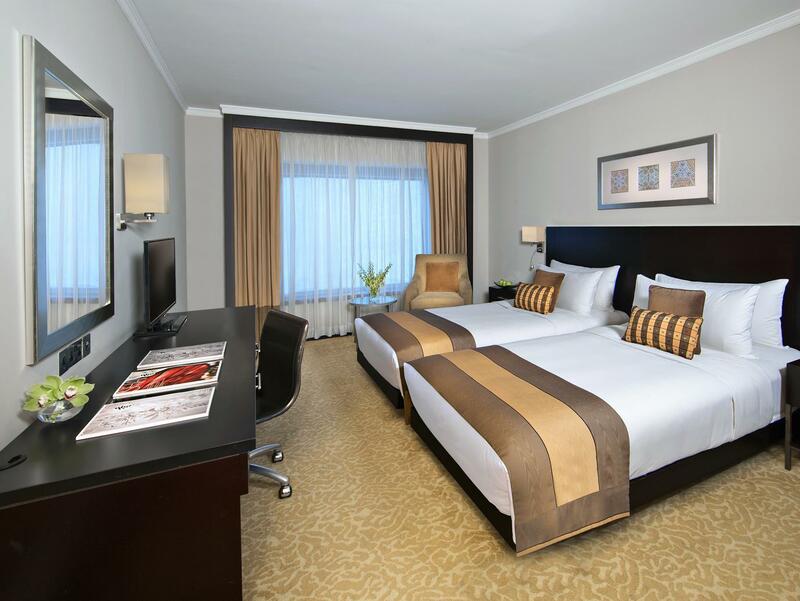 The room is very pleasing to the eye and has great amenities. The bed is very comfortable and room is spacious. The hotel facilities are excellent. The fitness center has excellent equipment and is well maintained. The restaurant and room service is outstanding. The hotel staff was very professional and helpful. The hotel is named as Traders Hotel when we made the booking. Apparently the new management took over and rename as Best Western Premier Deira (I have to say the name is really hard to remember). We’re very happy with our stay. Great location, 5 train stops from the airport (1 zone) and the station is just beside the hotel within 200 m; the desert safari is able to provide the pick-up service from the hotel too. The staffs at front desk are English native, easy to communicate; fast check-in and check-out. We’re happy to find out Wifi got no password, able to access internet with whatever devices. Room is absolutely clean, nice, great bed too. We stayed in Traders hotel in Singapore before, Dubai’s got bigger room and higher score. Was on stopover for one night but thoroughly enjoyed the short stay. Hotel staff are very friendly and attentive to customers' needs. 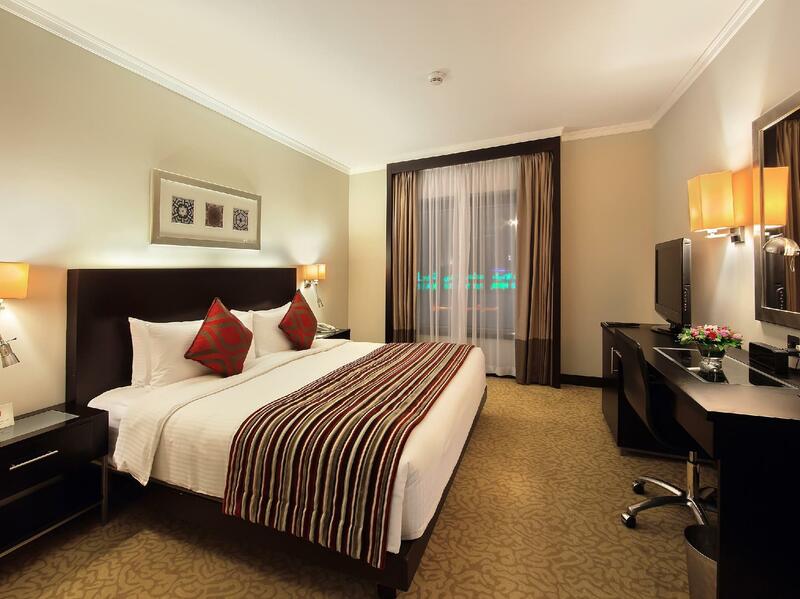 Its proximity to the airport makes it an ideal hotel for a short stopover in Dubai. Good Breakfast, Free WIFI and Close to Metro with walking distance. The overall staying experience is more than satisfactory since the hotel rate is under promotional rate for low season - summer time. 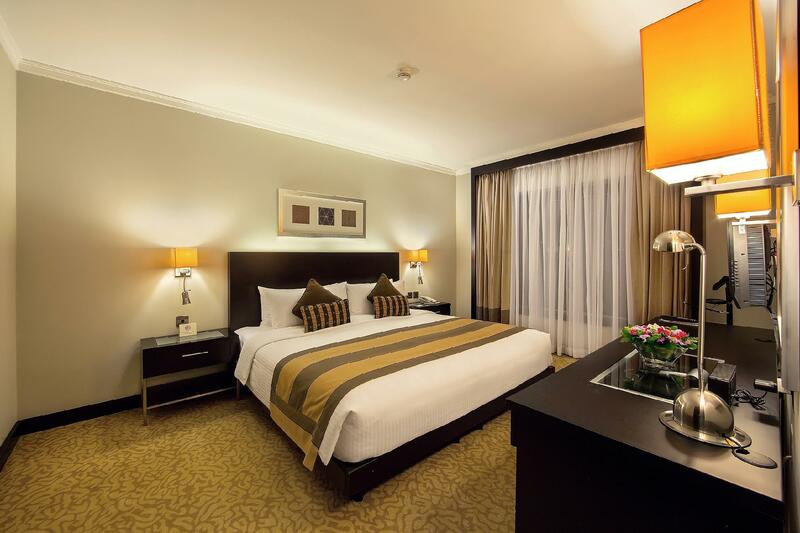 The hotel is close proximity to Metro, however surrounding areas does not have a lot of choice of restaurants. taking Metro is anyway to reach the shopping areas. The hotel is quite well manage and cleanliness is without question. if there is only complaints - no complementary transport to airport despite it is very close to airport. สถานีรถไฟใต้ดิน Abu Baker Al Siddique - ระยะ 0.18 กม.